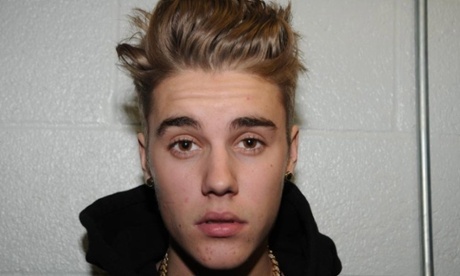 Pop star Justin Bieber was arrested Friday after crashing an ATV into a minivan and getting into a fight. Bieber, 20, was arrested at about 3pm Friday by Canadian provincial police and charged with assault and dangerous driving in rural southwestern Ontario, in the town of Perth East. Police said that Bieber’s vehicle collided with a minivan and that Bieber then got into a fight with one of its occupants. Authorities didn’t say whether anyone else was arrested in the incident, and declined to provide a mug shot. He was released without bail, and is scheduled to appear in Stratford, Ontario court on 29 September. Bieber is already on probation in California. It’s unclear whether the arrest could constitute a violation.